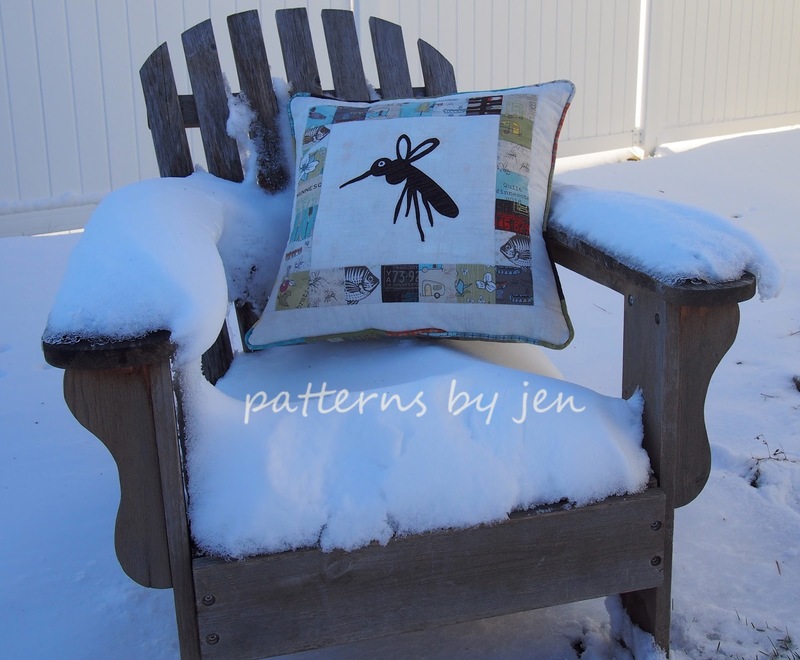 I'm excited to introduce "Winter Cheer," the eighth pattern in the Patterns By Jen family. 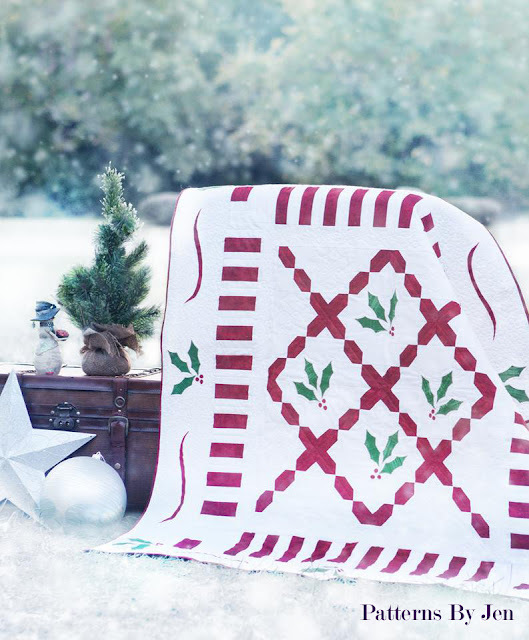 There are two options, Holly and Snowflake, with two sizes for each. 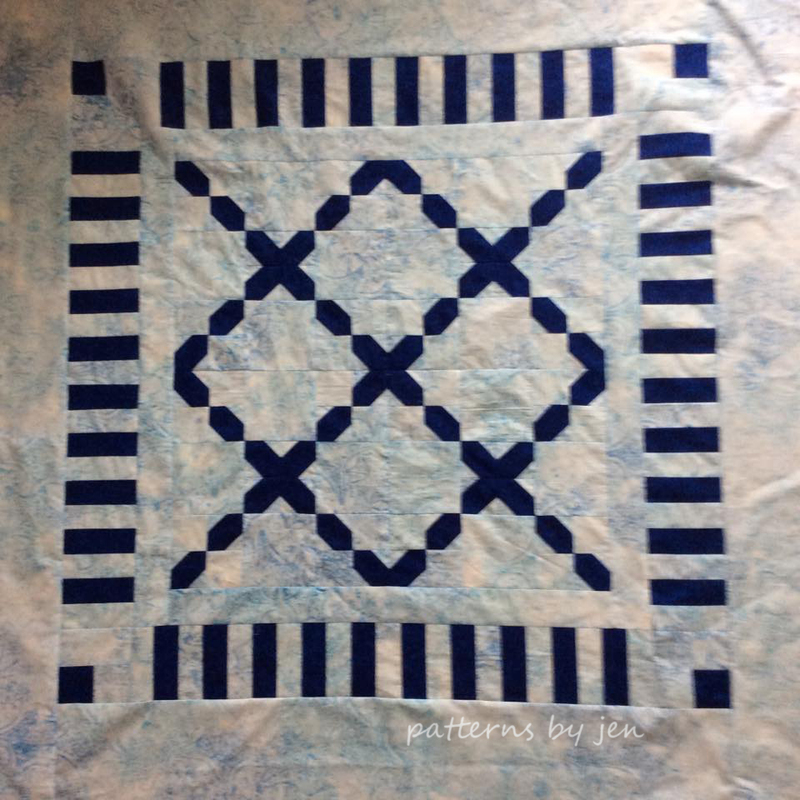 Four large blocks make up the center of the quilt with a bit of applique. 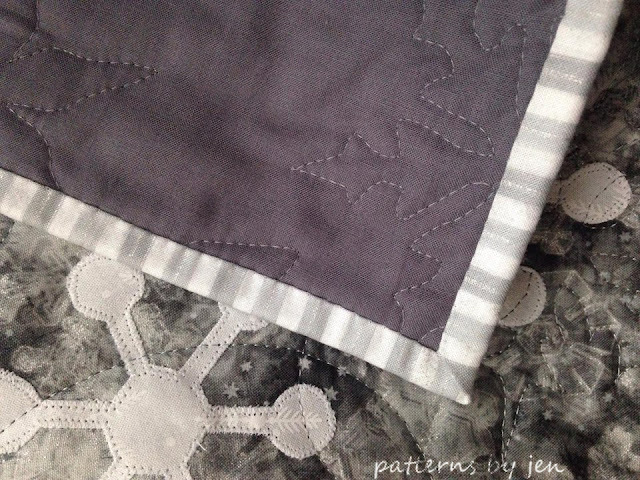 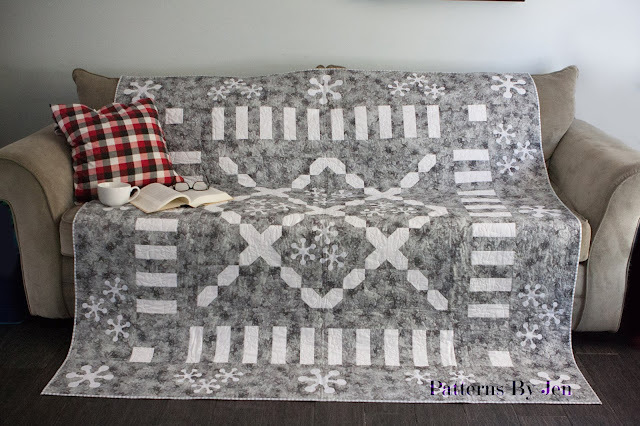 Surround it with a quick piano key type border, and a last border with a bit more applique and you have a fabulous quilt to snuggle under during these cold winter months. 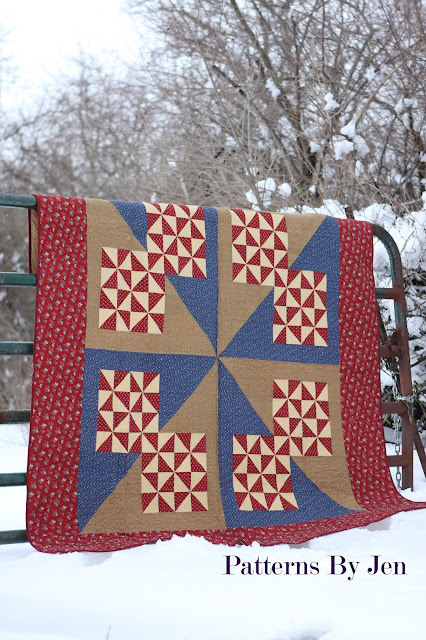 The testers made some great test quilts as well. 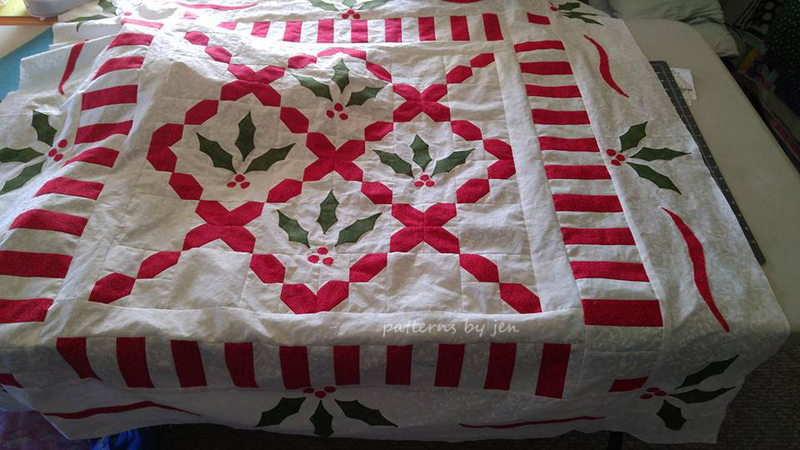 Sherra made the classic red and green. Up on the wall or backed with a soft minky for a little one to snuggle under. 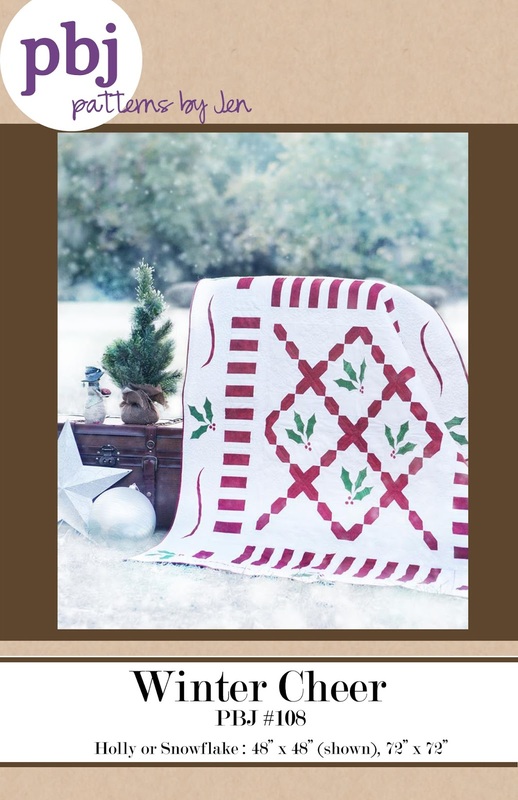 This makes me think Christmas-y thoughts. 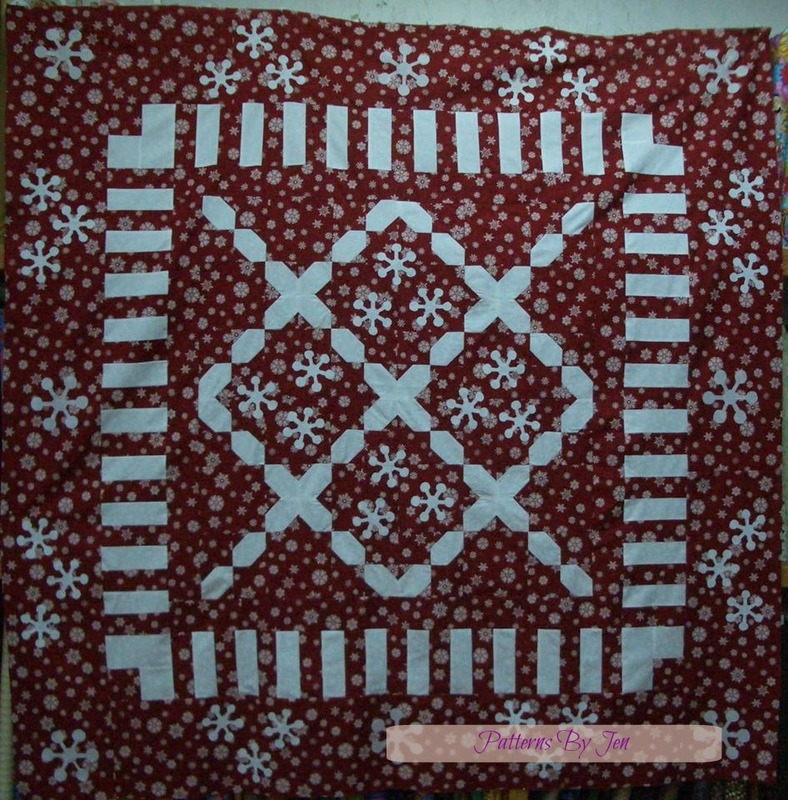 Joanne made the wallhanging sized Snowflake version. Her plan is to have her grandchildren make snowflakes, which she will then transfer to the quilt. Everybody say, "Awwwwww!!!" 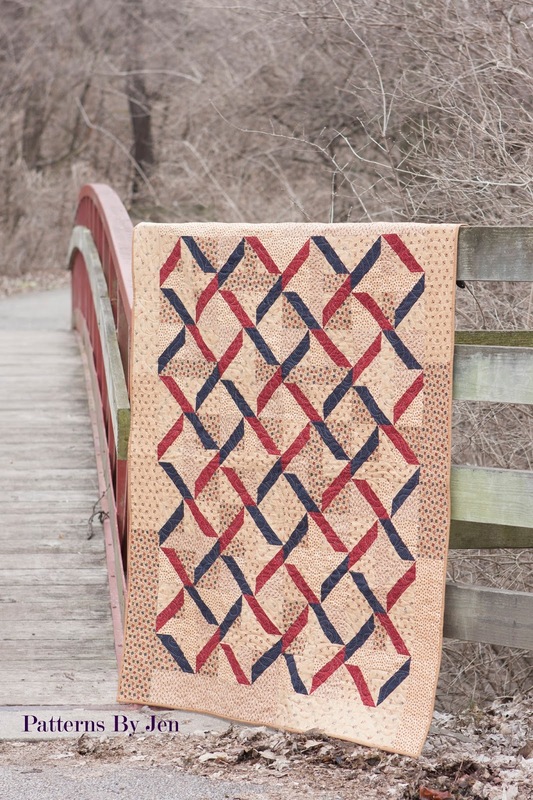 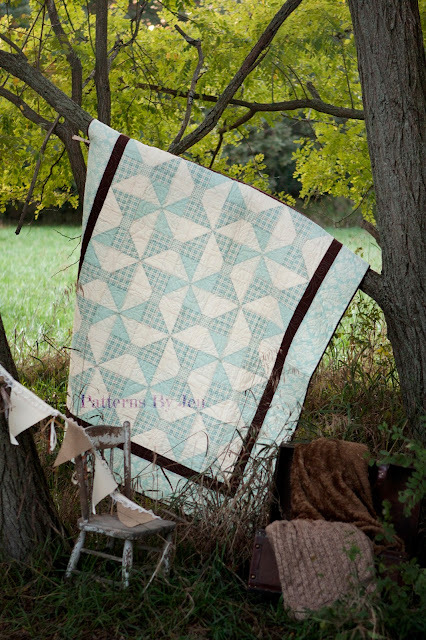 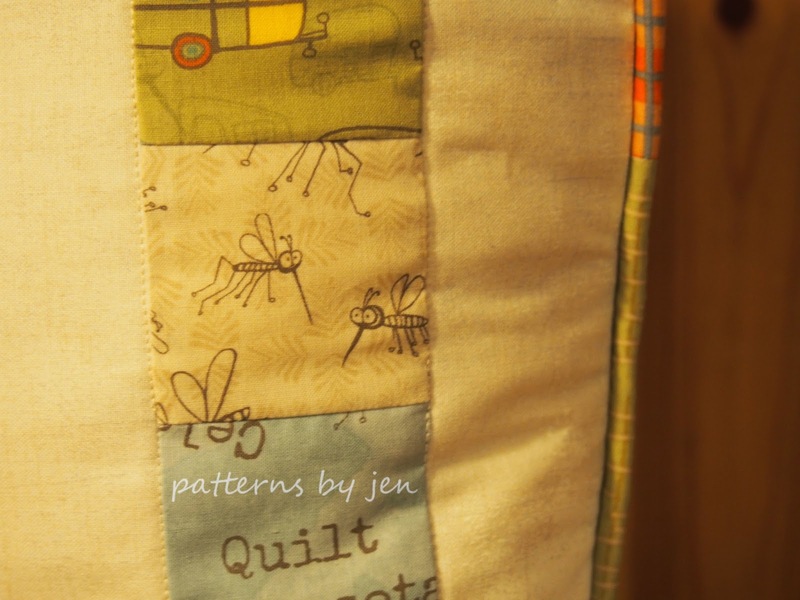 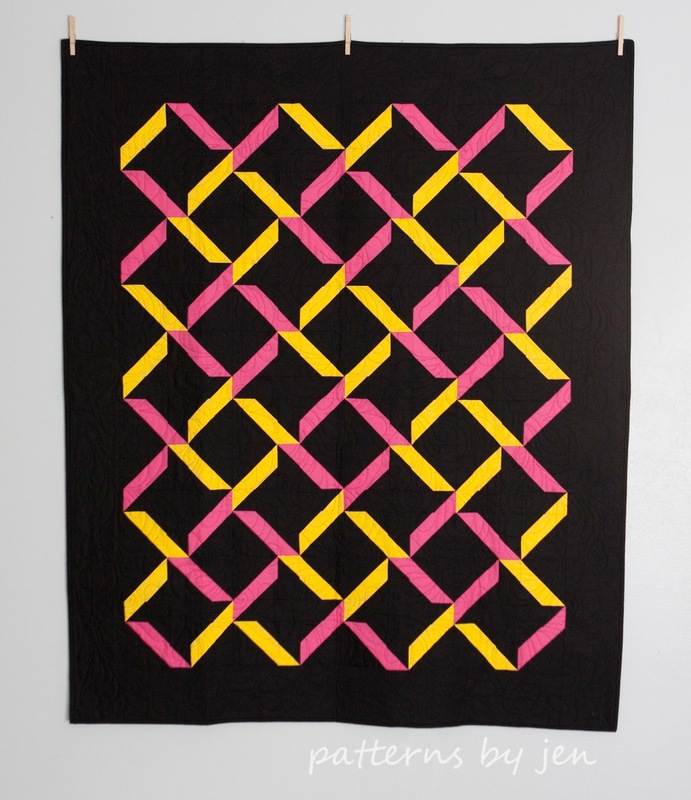 This quilt is perfect for a fun binding. 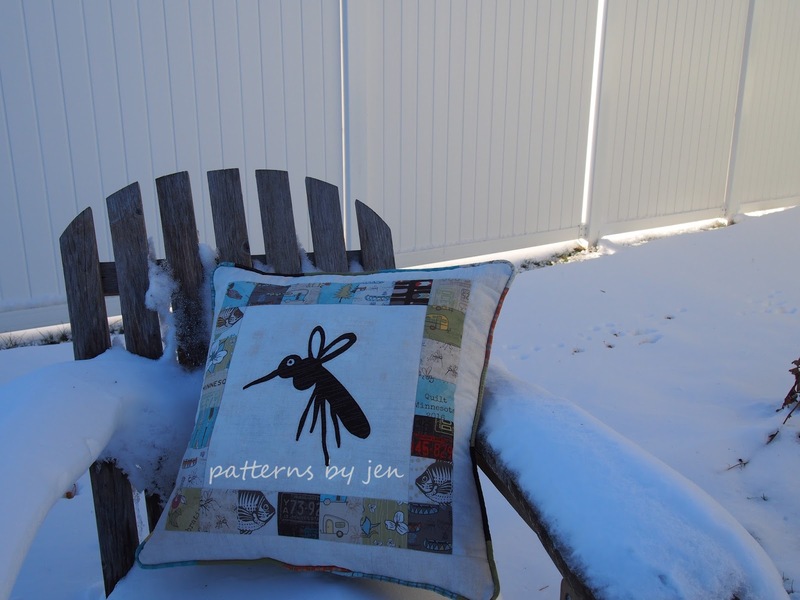 I used this pretty stripe on my snowflake quilt. Just a fun little touch to finish off a fun quilt. 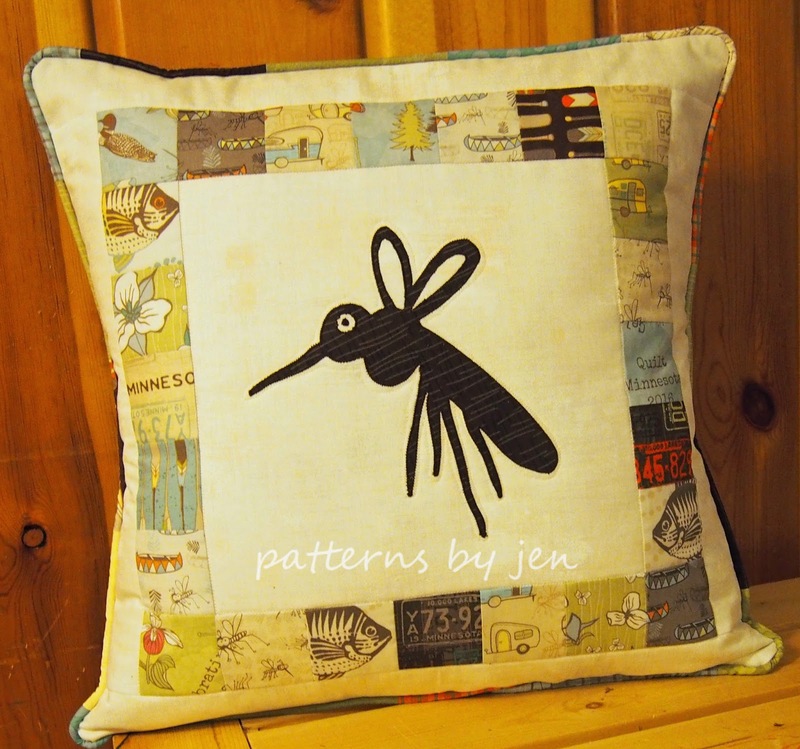 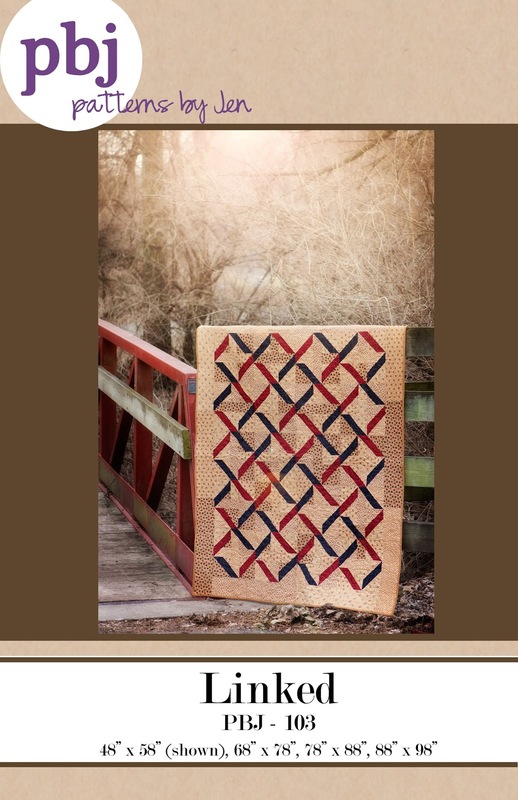 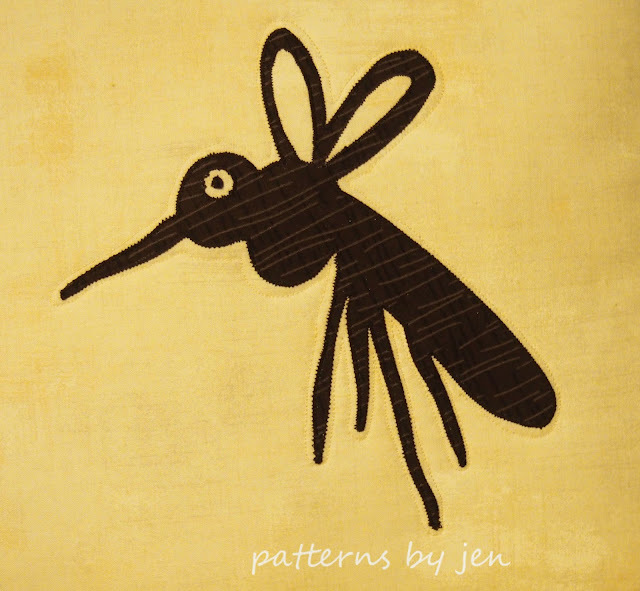 Let me introduce you to the newest store to carry PBJ patterns: My Timeless Day I am excited to share my patterns with her, and a little birdy told me she likes to kit patterns. Are you as excited as I am to see what she comes up with?